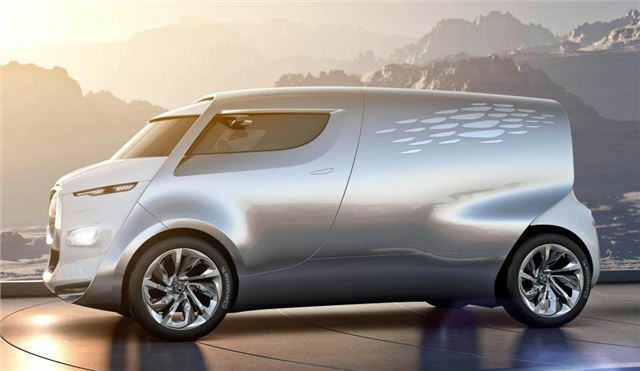 Citroen’s latest concept, called Tubik, a modern, luxury executive ‘shuttle’ inspired by the old utilitarian TUB van. This curious looking creation is designed to make journeys more interesting and more entertaining. It has nine seats which can be arranged in various ways, depending on requirements, and is packed with technology. Seats are trimmed in felt and the floor is leather-lined. Every seat can be individually moved to maximise comfort, and a large multimedia screen is present to allow passengers to work or play on route. The driver starts the vehicle by fingerprint recognition and all of the navigation information is displayed in a heads-up display in front of the steering wheel. There are also reversing cameras front and rear. Hybrid4 technology keep emissions down and fuel economy up, as do low rolling resistance tyres – which are wrapped around huge 22-inch wheels. The Tubik will be on display at the Frankfurt Motor Show, coverage of which will be provided live. Click here and we’ll send you a reminder before the live coverage begins.